Dong Nai (VNA) – The southern province of Dong Nai has given priority to foreign direct investment (FDI) projects using advanced technologies and fewer workers in recent years, said Deputy Director of the provincial Department of Planning and Investment Nguyen Huu Nguyen. Nguyen said Dong Nai has attracted 1,711 FDI projects worth 31 billion USD, 1,294 of them are valid with a total registered capital of 26.19 billion USD. As much as 18 billion USD has been disbursed so far. Nearly 900,000 labourers are working at businesses in and outside industrial parks. 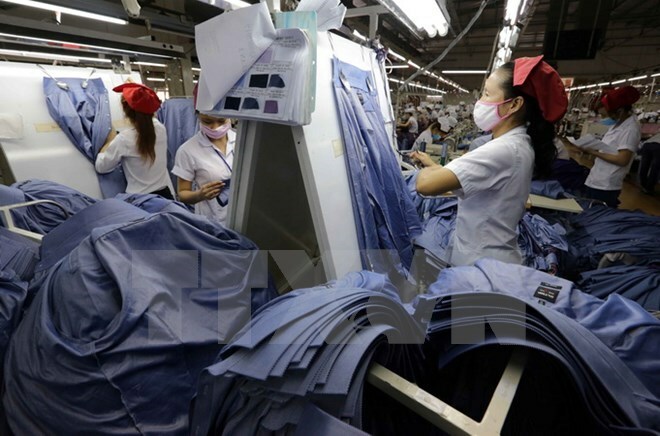 Recently, many of the migrant labourers have moved to northern and central cities and provinces for work, making it hard for FDI firms in Dong Nai, especially those operating in the labour-intensive sectors such as apparel and footwear, to recruit enough workforce. Since 2014, the German government has assisted Vietnam in vocational training via Bosch Technical Industrial Apprenticeship (TGA) training centre and LILAMA 2 vocational training college. Mai Van Nhon, deputy head of the provincial management board for industrial parks, said technology transfer is one of the first and most crucial commitments of foreign investors when they seek to get licenses. Dong Nai is now home to 6,400 workers who are foreign experts working in industrial parks, more than 1,000 of them are senior personnel, he said, adding that technology transfer is gradually underway with important positions being transferred to Vietnamese instead of foreign workers.